We all know the name. Martin Luther King Jr., the great American civil rights leader. ﻿But most people today know relatively little about King, the campaigner against militarism, materialism, and racism—what he called the “giant triplets.” Jennifer J. Yanco takes steps to redress this imbalance. 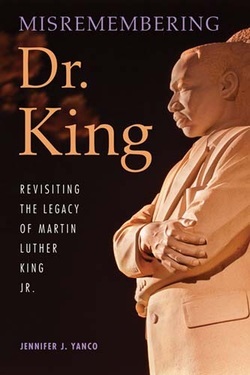 “My objective is to highlight the important aspects of Dr. King’s work which have all but disappeared from popular memory, so that more of us can really 'see' King.” After briefly telling the familiar story of King’s civil rights campaigns and accomplishments, she considers the lesser-known concerns that are an essential part of his legacy.